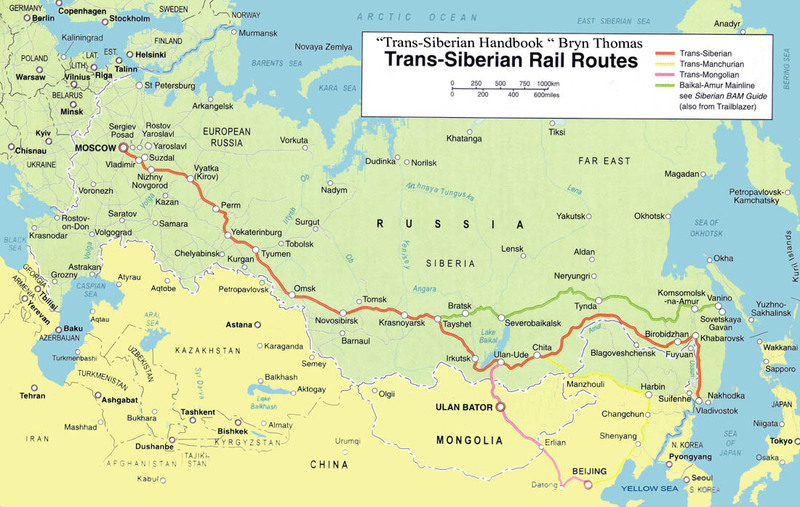 The Trans-Siberian Railroad is the longest railway line in the world connecting Moscow to Vladivostok at 5,753 miles, and has branch lines to Ulan-Bator, Mongolia; Beijing, China, 4,888 miles; and Pyongyang, North Korea, 6,380 miles. This railroad spans seven times zones and takes eight days to complete the Moscow to Vladivostok trip. By the mid nineteenth century, Russia was in serious need for a Pacific deep-water port. Accordingly, in 1860 Czar Alexander II authorized construction of Vladivostok on the Sea of Japan. By 1880, Vladivostok had grown into a major port. Soon the authorities realized the obvious problem that there was not an adequate transportation link between European Russia and its Far Eastern and Pacific provinces. In 1891, Czar Alexander III authorized the construction of the Trans-Siberian Railroad and it was completed in 1916 under the aegis of his son Czar Nicholas II. By-and-large, convicts and political prisoners did most of the work. Hop aboard the Trans-Siberian Railroad and relax in the opulent coach reserved for important Soviet apparatchiks. In my historical novel St. Catherine’s Crown the train lumbers through Siberia mile after mile after mile. Perhaps I ought to caution you to be wary of Nadia, the hostess in this car. She is available (for a fee) and duplicitous to a fare-thee-well.